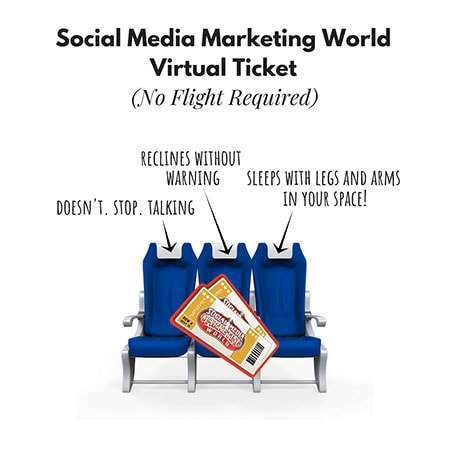 The Social Media Marketing World Virtual Ticket could be the answer to your FOMO! 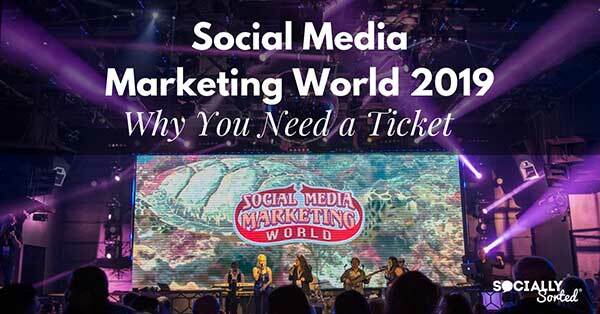 Tickets are available NOW for Social Media Marketing World 2019 and it’s going to be one heck of a conference. Find out more here. But the good news is that this year the Virtual Ticket is being released early too – and it’s heavily discounted! You can read all about Social Media Marketing World 2019 right here. But before I tell you about the Virtual Ticket I need to tell you something. 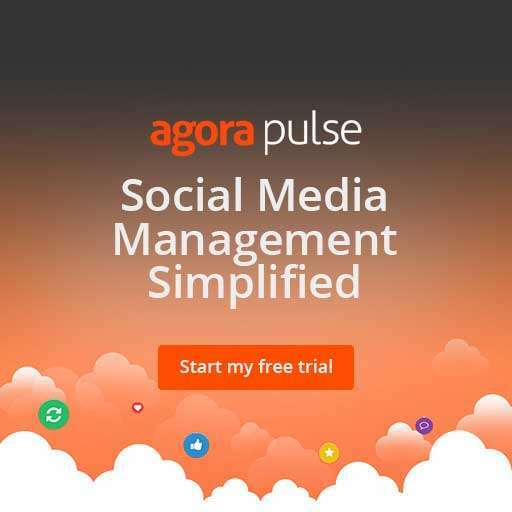 This blog, Socially Sorted has been a winner of Social Media Examiner’s Top 10 Social Media Blogs in the World for the past 3 years. Social Media Examiner has been my go-to-source for industry-leading, up-to-date information about social media since 2010. Every event, every summit, every live event has been a non-negotiable part of my calendar. 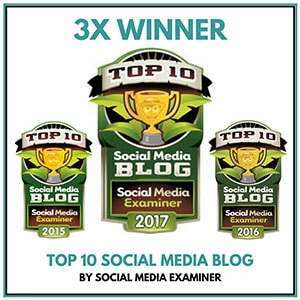 I would not have the knowledge, business (or award-winning blog) that I have today without learning from the team and writers at Social Media Examiner. I will be at Social Media Marketing World in March 2019 as I am a speaker again this year (my 6th year speaking and 7th year attending). I’m going to jump into why the Virtual ticket is such an amazing deal (especially while it is discounted at 50% leading up to the event). Firstly, Can you make the Event in Person? Now if you want to go to SMMW19 in person I highly recommend it. You can read all about it here in this post or click the image below. I’m not gonna lie – being at Social Media Marketing World 2019 in person is the best thing you can do. As you will see form the article, the learning, networking opportunities, entertainment (and more) makes the trip worth it. But I KNOW how hard it can be for you to get there. It’s especially hard for us Aussies, who live at the complete opposite end of anywhere.. there’s a long haul flight, bad airline food, the exchange rate is abysmal… the list goes on. So if I can’t convince you with the amazing San Diego climate (and holiday opportunities) and all the business benefits of attending in person (read the article above to find out more or grab your “in real life” ticket here….. let’s talk about the Virtual Ticket. Because the VIRTUAL ticket is the next best thing. In fact, it may even be a better option for many of you. 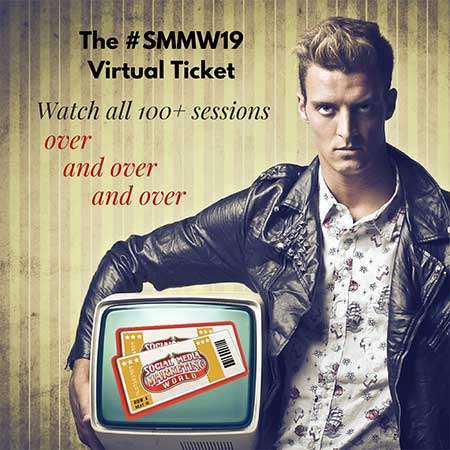 Please note too, that you get a Virtual pass with your full pass to Social Media Marketing World, so you get to watch all the sessions you missed (and re-watch the ones you loved!). #1 You can watch 120+ sessions over and over and over. I always watch the bulk of the sessions on the Virtual Ticket – it’s an awesome source of content and I can tap into it any time …for a year! But can I tell you a little secret? If the Virtual Pass wasn’t part of the live ticket I think I would seriously struggle with my FOMO of missing out on seeing speakers I want to see. While the live event is amazing, it’s literally impossible to choose between seeing speakers like Michael Hyatt, Amy Porterfield, Pat Flynn or Darren Rowse live (I hope they don’t clash this year). Fun Fact: My first year presenting I had to hold myself back from sneaking out of my own presentation to see Michael Hyatt who was speaking at the same time! But… as I reached the door in a bad version of the Great Escape, a good friend whispered in my ear “Virtual Pass Donna, Virtual Pass” and I resumed my position. (That may or may not be true, but Michael was great on the virtual pass by the way and I managed to watch him live the year after). For those of us that like our home comforts and the ability to watch or work from anywhere… the Virtual Ticket for 2019 is awesome. You can watch in your PJs and don’t need to leave the comfort of your home. Quite literally you don’t even have to be dressed at all if you don’t want to but I thought that PJs would make for a more shareable image. But for the introverts out there, I know you are crushing on this idea (the staying at home in PJs part, not the naked part)… and I think you’ll love #4 too. #3 You Don’t Have to Get On a Plane, Have Jet Lag or do the Long Haul! 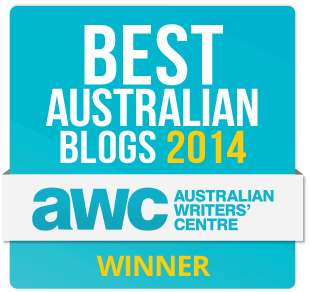 Dear Southern Hemisphere Folks. You know what I’m talking ’bout, right? The plane flight is a big one. It’s literally 24 hours of our life there… and back. In fact, you cooooooould spend the 2k+ you save on attending in person on a private chef and masseuse for a weekend while binge watching the recordings. Use your imagination! See #5 for more ideas about that one. And if you ARE a lucky duck and live in the United States, but just can’t get there for any myriad of reasons, then…. ditch the flight. Go virtual instead. Go with the Social Media Marketing World Virtual Ticket. Full disclosure: Of course I would rather see you in person, but I know you can’t all get there, so this is an awesome back up plan. You can network from the comfort (and security) of your own laptop in your home. I am part introvert so I get you – I get overwhelmed after a few days of crazy conference scene, so I know that for many introverts the virtual pass is an attractive option. But…. did you know you can network like a trooper from the safety of your laptop or smartphone? access the private LinkedIn Group (only available to in-person ticket holders and virtual pass holders). Amazing connections happen between SMMW peeps. You can join in while the event is on before the recordings are available – the Twitter Hashtag is a great place to connect along with LinkedIn. Join in on the SMMW event page before, during and after the event. Join in with the SMMW team as they go live on Blab and post about the event on social networks. Maybe you are an extrovert (and we know YOU would love the live event) but you just can’t make it to there in your live, awesome self. Then I know you will take advantage of these options because you can talk and charm the leg off a chair, right? The Social Media Marketing World Virtual Ticket is your pass to networking – no matter how you like to do it! #5 Cash in your pocket to IMPLEMENT the heck out of what you learn. For whatever reason, if you can’t make it live to SMMW, you’ll save hundreds if not thousands on airfares, accommodation and food. 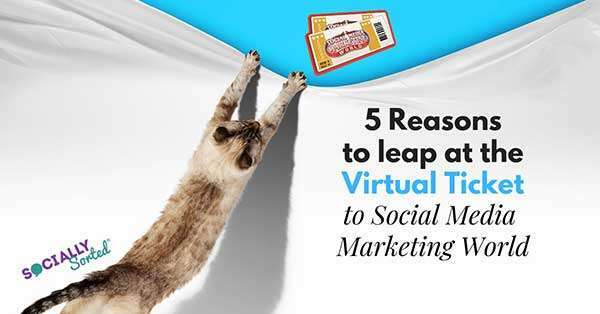 Snap up the Social Media Marketing World Virtual Ticket (leap at it) now as the price will rise gradually until it reaches full-price just before the event! It’s still heavily discounted. tools, systems, people to help you to IMPLEMENT THE HECK out of what you learn from the event. You will get a return on your ticket investment super fast if you take action in some way every day on what you learn. Lots of simple small actions will result in more traffic, shares and SALES in your business. That’s it! 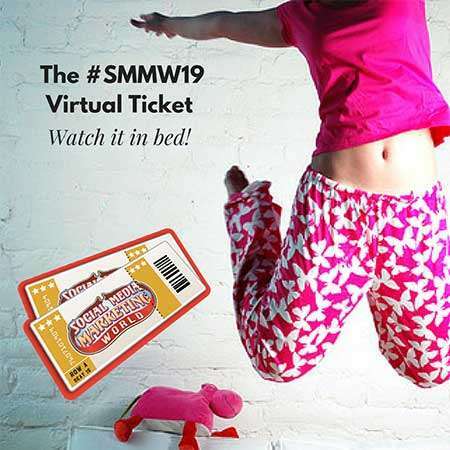 I hope you’ll consider joining me (even if it’s virtually) at #SMMW19 – even if it is with Social Media Marketing World’s Virtual Ticket. If you do, remember to say hi to me on Twitter as I will be engaging a lot throughout the conference, as will all of the other speakers. Check out this post below that shares a lot of information about Social Media Marketing World 2019 so you can make the best decision about whether to attend in person or whether to buy the Virtual ticket. NOTE: I am a proud partner of Social Media Examiner in promoting this event. If you purchase a ticket through my affiliate link I will receive compensation. I only recommend products, services and events that I use and LOVE personally, and I think you can tell already that I crush a little on Social Media Examiner so I know you’ll love it. 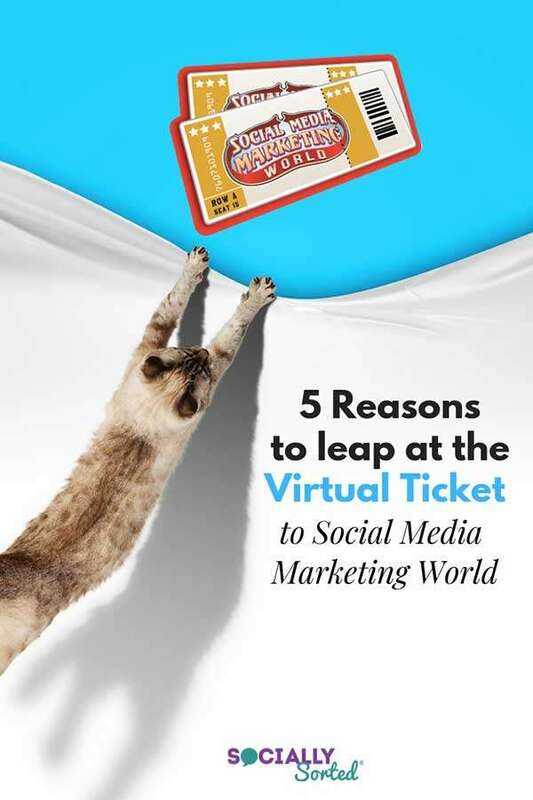 Will you be joining me live (or virtually with a Social Media Marketing World Virtual Ticket in 2019 in March? Leave a comment below so I can keep an eye out for you and remember to say hi!